» Forum » Market » Buying and selling advice » star trek prem price? Maybe the real le? » star trek prem price? Maybe the real le? star trek prem price? Maybe the real le? 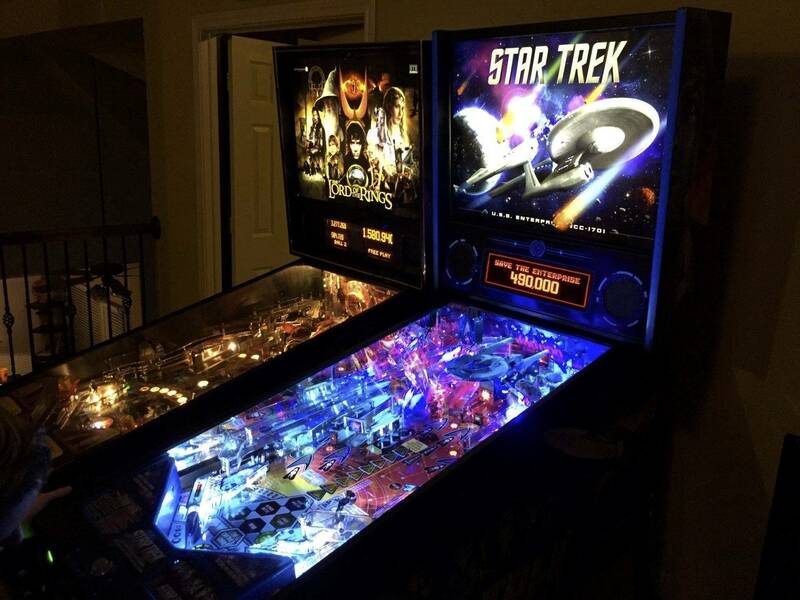 So ive been on the hunt for a star trek premium and have found a few for sale and have been contacted about a few also. However it seems most people want a good bit more than they were nib or about the same .? Also you can almost get a le for just a little more than what people want for premium? Is the st premium like the acdc lucy? I like the features on the premium and le but im beginning to think the pro may be the way to go since you can usually get a nice moded pro for 4250-4500 or under and the game play difference is minimal. What makes star trek and acdc premium worth so much more than they were new and how come met premiums are usually cheaper , but imo a better game than st and acdc? There must be less premiums than le since the price of prem have went up and le have come down ? Ya I've been wondering the same. Last Premium I looked at the seller wanted $6700 which to me puts it in the realm of an LE for a few hundred more. Like its posted above, maybe it's just supply and demand. Great game tho. Just wait, these people paying a fortune will regret it once Stern starts producing it again. Talk to your distributor and have them communicate to Stern there is is demand. Where are you seeing the price of the LEs coming down? A year ago they were at their lowest when the code was incomplete - I saw a few sell for $6500. Recently I've seen a couple at $7500 that get scooped up really fast. If anything, the LE prices are slowly trending up as they are settling into long term collections. few I know of and asking around 7250- 7500 which is good bit less than nib but the premiums are way above nib which is what I was getting at . I have and it will more likely be ran at some point this year and im willing to wait and get a nib with mods for 6300-6400. I like the extras on the le but think I like the red and artwork on the premium. But with prices pretty close to each other I may just get a used le . Or just get a nice moded pro and use the extra money towards gb or imve lol. NIB was $7500 delivered so it seems to be right at NIB and trending up. I see a premium in the marketplace for $6200 which I think was premium NIB price? I think you are just seeing slightly higher prices because of the lull in production on the PREMs. There is a HUGE difference in the looks of a PREM vs an LE though - I like the LE but others really like the PREM. Either way it's a great game! I thought the le were more nib than 7500? Most people are asking 6700-7 for a prem that 6200 was the exception and sold in 2 minutes lol . Regardless all models of star trek are awesome and pretty much equal gameplay wise but I love the extra lighting . I have an LE and a friend the premium. The light show and Vengeance action is really sweet. I've never played a Pro so can't comment but if you can swing the difference I'd recommend the LE or premium. I would wait and get a premium/LE. The pro is good but the premium/le is more engaging and I think, worth the extra $$$$. I bought thedarkknight77 premium and it was nicely modded at a great price. That's funny. I have a Premium & really like it, but my favorite color is Blue, & I think LE is just beautiful! I can see myself buying an LE & selling my Premium. My search for a ST Prem just ended. While I was looking, I found that there were no NIB from distributors, some collectors had some, but bought them on spec, expecting to make a profit. Then there was the HUO crowd. HUO folks LOVE their machines and prices reflected that. Add to the HUO scene the mods that were done. I did not find ANY HUO that were still stock. Folks had modded them and the price reflected those loving upgrades. So what did I do? JJ over at Game Exchange had a "Used" ST Premium on his website for a couple weeks now. It had been routed. I asked a ton of questions, bugged him relentlessly for pictures and in the end came to a price we both liked; shipped to my door. (Thank you JJ for putting up with me). It was more than a NIB ST Pro and definitely less than any ST Premium out there, NIB or HUO. I am putting a deposit down & he is now shopping it. The price was more than fair and reflected the history and condition of the game. However, I have always maintained that I am a player, not a collector. I like a machine with a bit of "character"
My experience has led me to believe that the NIB and HUO ST Premiums will hold their current value and possible increase until or unless Stern produces more. However if you are like me, the off route market may satisfy that itch for a premium. I was in the same boat... Debating between nib pro vs. finding a used premium or wait it out based on the rumors of a potential re release from stern. Kicked myself for missing out on a beautiful premium two weeks ago that was five min from my house, but literally sold in n 5 min on craigslist. I spoke with three different distributors yesterday. None could confirm anything about another premium release, and even if stern did it, when it would feasibly be available. One even relayed that he had information that stern was planning to raise rates $200 in the very near future. Anyway, yesterday I pulled the trigger on a very low play pristine huo premium with a boatload of mods. I ended up paying slightly more than nib price, but I got a pin with less than 200 plays and a ton of mods, plus an aurich translite ( which I really wanted and is no longer available). The decision was pretty easy for me, as I am extremely impatient, knew this pin is a keeper, and prefer the appearance of the premium (with alt translite) over the le. Do we have a fairly accurate estimate on how many ST Premiums were made? I'll throw this out there. I'll trade my HUO Premium for a HUO LE if someone wants a Premium. The only mod is the Cointaker backbox flasher kit. I think pro is the way to go for that reason. Premiums are nice but I never look for reasons to spend more on a pin. The pro plays great and looks good. I like having colored inserts more than everything being clear with rgb lights. Laser lights and vengeance doing a nose dive are things I can easily do without. ST is probably the best pro Stern has made. ... yesterday I pulled the trigger on a very low play pristine huo premium with a boatload of mods. I ended up paying slightly more than nib price, but I got a pin with less than 200 plays and a ton of mods, plus an aurich translite ( which I really wanted and is no longer available). The decision was pretty easy for me, as I am extremely impatient, knew this pin is a keeper, and prefer the appearance of the premium (with alt translite) over the le. Congrats on your new ST - it's a great game! While the LE is a beauty, I think that the Premium has a lot going for it as well. Especially with Aurich's alternate translite and decals package. On the flip side HUO ST Pro's can be had in the low 4k's with a few mods and even $4000 for a stock one. Maybe look at getting one of those and saving the $2500 for a rainy day. The pros will remain at this price point until Stern stops making them. Then they will bump up $200-$300. Just my speculation on the future which does not mean too much. I think the pro with Aurich's translite looks great. Mine has a few lighting tweaks as well... Rather put the additional $2,500 toward another game. I have an LE ... But I'm a big-time fan of the 2009 film. I bought mine when the prices bottomed out. 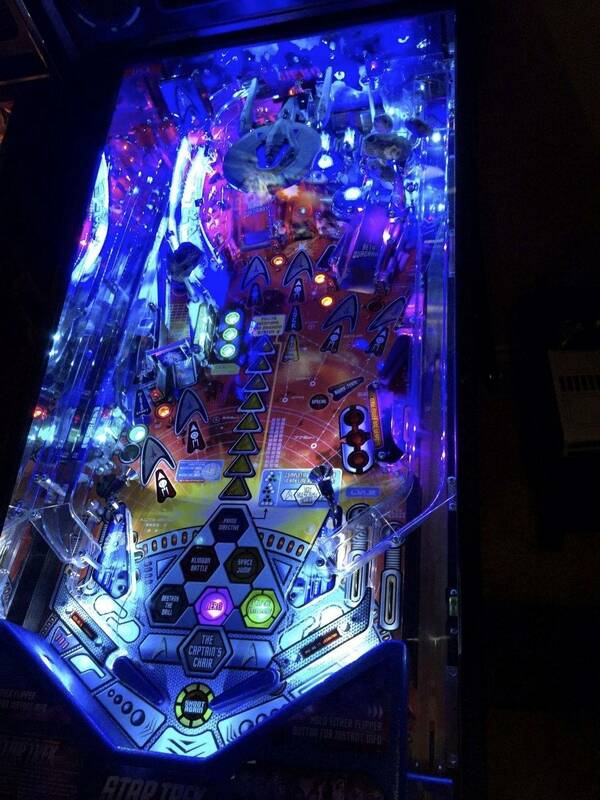 It is only one of two times I paid $5k or more for a pin (the other being a very nice Tron). If you thought the movie was "meh" but love the flow of the pin, get the pro. If you love the newer films, get the premium. If you're a big-time Trek fan, track down an LE . The premium upgrades are worth the extra cash if you're into rgb LEDs, light shows, and crazy moving toys on the playfield, but that stuff has little impact on gameplay save the kickback/up mechs on the left outlane. 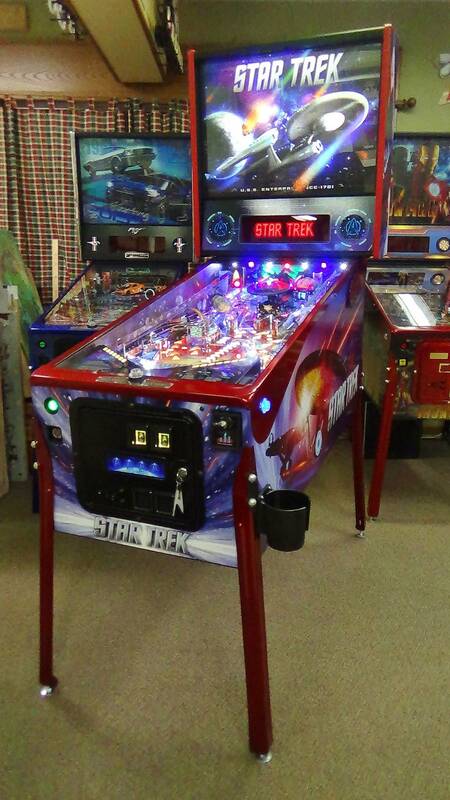 FWIW, the clear plastic ramps on the left/right sides of the pro playfield fit the JJ Abrams Trek theme better than wire ramps ... But you gotta keep those ramps crystal clear . I might look to trade my LE for a Pro or Premium + another older game / project game and/or $$$ to cover any differences . I'm not actively pursuing that right now, but might consider it over the summer. Got my pro loaded up with mods and delivered for 4200. I have played the other models and they are nice with the light show being the big difference but I could not see the 3000 difference. That 3000 extra cash got me a jd and finished restoring my wh2o.